Azimut Grande 35METRI, Azimut Grande 27METRI, Azimut S7 and Azimut 60 Fly: these are the four Azimut Yachts models that will receive their international debut at boat shows this autumn 2017. In what can only be described as a world tour, the new models will be on show on the world’s leading international markets. Designed with expertise by Stefano Righini, who has been innovating the concept and styling of Azimut yachts for years, making them world famous, these four models represent the cutting edge of innovation, technology and design in their respective segments and have already been a huge sales success. Azimut Grande 35METRI and Azimut Grande 27METRI are the two new additions to the shipyard’s exclusive Grande Collection. On both, the use of carbon fiber has made it possible to increase the onboard space while retaining excellent levels of static and dynamic stability. 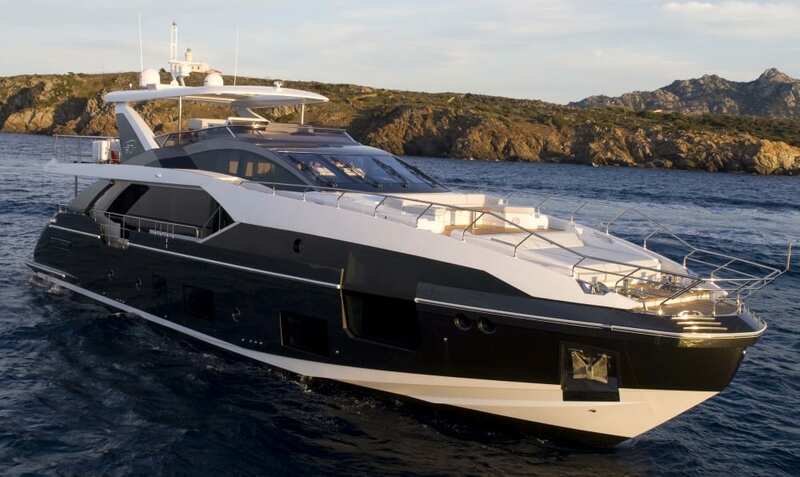 On the Grande 27METRI, the result is a wide body with a full beam owner’s suite on the main deck and a lower deck with three or four cabins, representing what is an all but unique layout on yachts this size. The exteriors and the interior concept are designed by Stefano Righini, while the interior design is by Achille Salvagni, one of AD Collector’s top 100 designers and included in the A-List drawn up by Elle Decor. Salvagni’s signature style involves harmoniously flowing lines, with some critics drawing comparisons to Italian Renaissance art, but in an absolutely contemporary interpretation: “the new Italian Renaissance”. The Grande 35METRI is the new flagship in the Collection. 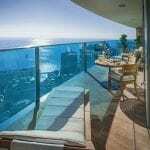 The yacht has a Wide Body with Raised Pilot House (RPH) and supremely sleek exteriors, featuring floor-to-ceiling windows, an exceptionally sized sundeck and a pivoting balcony that extends out from the owner’s suite directly over the water. 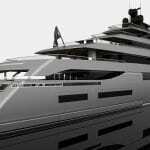 The exceptional features of this model are completed by a stern beach area that can be opened, because access to the garage is from the side of the yacht. Also on this model the exteriors and the interior concept are designed by Stefano Righini, while the interior design is by Achille Salvagni. Azimut S7 is the 21-meter model in Azimut Yachts’ sport collection and is ideal for those who want performance without sacrificing contemporary, sophisticated design. The use of carbon fiber in the superstructure and the pivoting platform has allowed Azimut to increase the volume of the boat while delivering excellent performance. Fast, silent and extremely manoeuvrable, the Azimut S7 introduces radically innovative solutions and is the only yacht in its segment to guarantee unprecedented space, with four spacious cabins and a garage that can contain up to two water toys. The exteriors are designed by Stefano Righini, while the interiors by Francesco Guida, working with the brand for the first time, revolutionise the solutions typically adopted on this type of boat. The shipyard will be taking the Sportfly version to the Cannes Boat Show, but a Coupe version will also be available. Stefano Righini also created the concept and designed the exteriors of the new Azimut 60 Flybridge, giving it sleek, aggressively attractive lines, in addition to a remarkably sized flybridge. The Azimut 60 proposes totally innovative solutions, including full-height windows and various lounge areas that create islands of privacy which are unique on a model this size. Achille Salvagni’s richly elegant interiors combine three different varieties of wood with steel and brass. Owners can also choose between different style propositions created by Salvagni, which bring the sophisticated interior design language of larger yachts to this 60-foot craft. 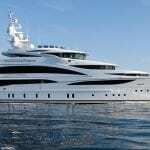 All four of these new models will be be given their world debut at the Cannes Yachting Festival, scheduled for September 12 to 17, to which the shipyard will be taking a fleet of 19 yachts. Here, in addition to the traditional presence of the fleet of yachts and the stand designed by Michele de Lucchi, Azimut Grande owners will find a new lounge area dedicated exclusively to them, offering hospitality and unique services under the banner of Azimut’s Dolce Vita 3.0 lifestyle. From September 21 to 26, the shipyard will be represented by a fleet of seven models under 72 feet in length, including the Azimut 60, which the brand’s Italian dealers will be taking to the Genoa Boat Show. 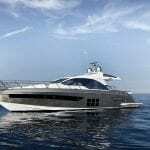 On the Italian market, Azimut Yachts has decided to present its models over 72 feet in length at Versilia Rendez-Vous, scheduled to take place from May 10 to 13, 2018, because the two shows, Genoa and Versilia, are complementary and increasingly serve two distinct markets in terms of their nature and positioning. The Azimut Grande Collection will also be returning to the Monaco Yacht Show, to which it will be taking the Grande 35METRI and the Grande 30METRI. From September 27 to 30, these two yachts will therefore be available for visits on board by guests and trade professionals. 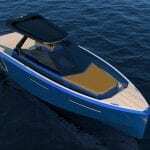 The last stop will be on the other side of the Atlantic at the Fort Lauderdale International Boat Show where, from November 1 to 5, the four new models will be given their debut on the American market. Here too, Azimut Grande customers will enjoy a new lounge area with special services dedicated to them. Looking ahead to 2018, the shipyard is already making preparations for Boot Dusseldorf next January, at which another two new models in the fleet will be presented.